Give Your Dog a Break. For ten thousand years, dogs have worked tirelessly for their humans, alerting us at all hours to unexpected activity that could indicate danger. 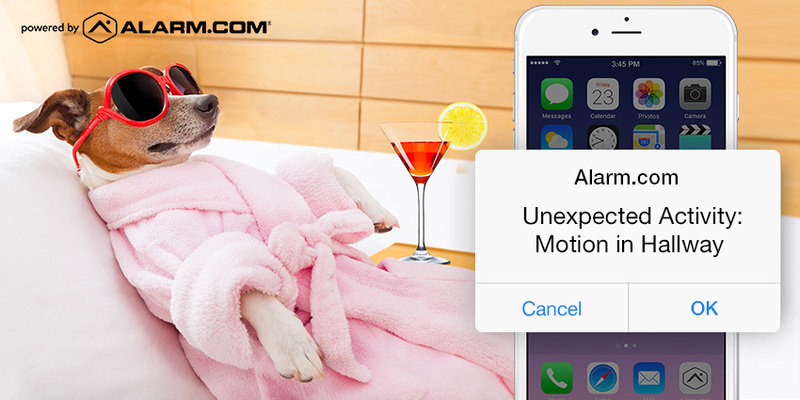 This year, at last, your dog can take a well-deserved break, thanks to Alarm.com's new Insights Engine. It's an advanced smart home security feature that learns your family's activity patterns from the sensors around your home, then alerts you to unusual activity when it occurs. We hope that your dog enjoys his newfound free time, especially on Love Your Pet Day this Monday. Not a dog person? Don't worry: Alarm.com connects your whole home for convenience and control that any pet (and their owner) can benefit from. Not sure what smart home security is? Click here. As your cat moves around the house with you, they'll enjoy the precision comfort of an Alarm.com smart thermostat as much as you do. Remote temperature sensors let you create room-by-room comfort schedules, ensuring that whether you're on the couch, asleep in bed or working in your home office, you'll be the perfect temperature for your cat to fall asleep on. Did you know that all fish require darkness at night? It helps regulate their sleeping and eating. Turning aquarium lights on and off manually can be a pain, though. If your lights have their own power source, you can use an Alarm.com-powered smart plug to automate them, so they'll turn off every night on their own. Kids love to take hamsters and gerbils out of their cages and let them run free; a fun activity that's best done under adult supervision. To deter unauthorized jailbreaks, place a contact sensor on the door of the cage. You'll get an alert when it's opened, and the hamster won't end up lost under the couch. Alarm.com technology is great when you're home but it really comes into its own when you're away – for example, by making it really easy to manage a pet-sitter. You can let them into your home remotely with smart access control, and secure everything from your app when they leave again. If they don't show, you'll know, and can easily arrange for a neighbor to step in. 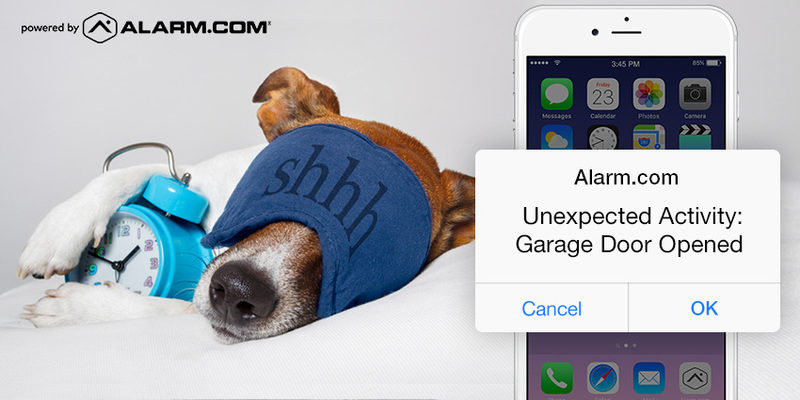 For more reasons why everyone in your household will love Alarm.com, click here.